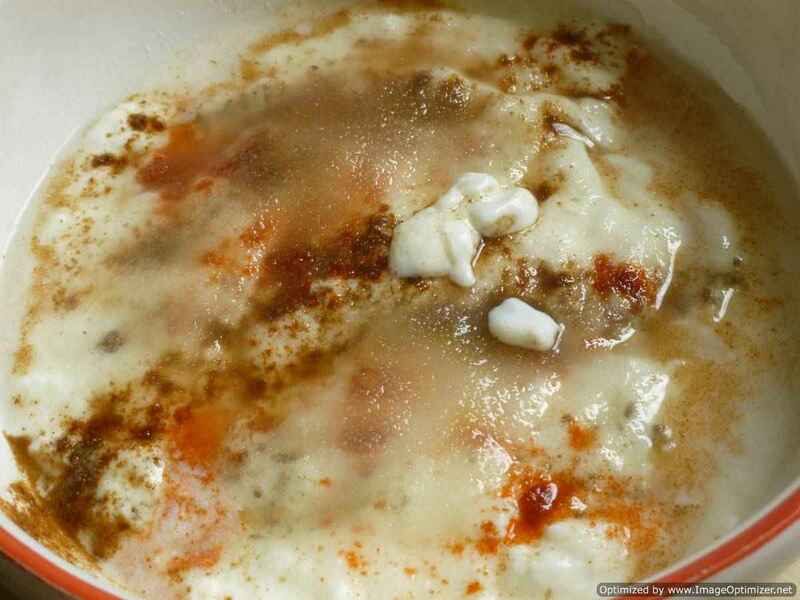 Dahi bhalle is a fried lentil dumpling made with whole urad dal, which is soaked in sweet yoghurt or curd, with a sprinkle of some spices and sweet chutney. 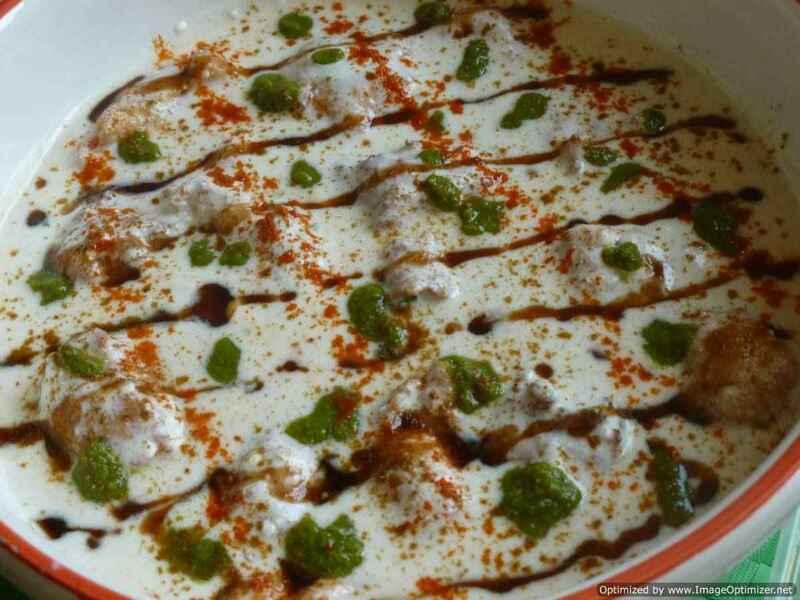 Dahi bhalle is also known as dahi vada and is a very famous cold snack or chaat street food and is a summer treat. 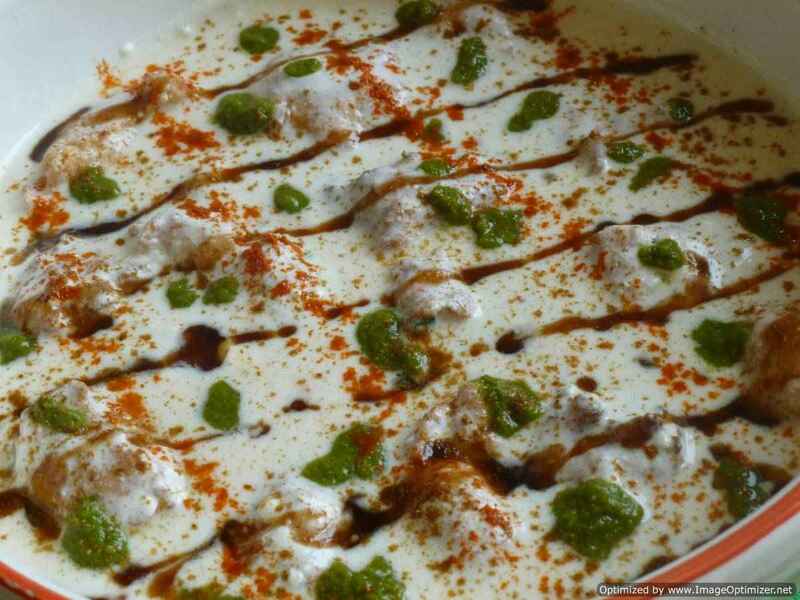 Dahi vada or dahi bhalle is given in a bowl where curd is poured on top with a sprinkle of spices and drizzle of tamarind chutney. 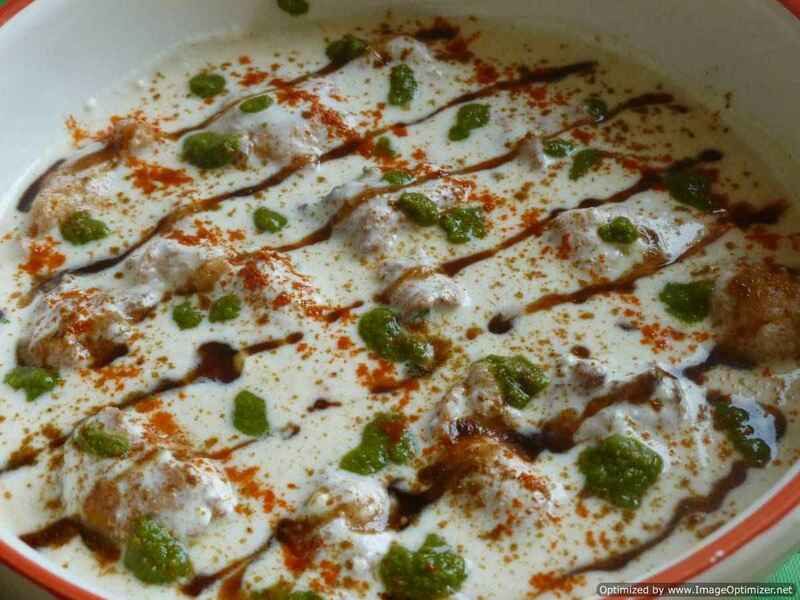 Dahi vada is common and made easily in every house but stuffed dahi vada is little time consuming and complicated but once practised it will be easy and the end result will be very good and delicious. The most important thing is that dahi vadas has to be soft and to make stuffing, little difficult as the dough is sticky. For special occasions stuffed dahi vadas can be prepared well in advance and is a special cold appetizer or starter during hot days. 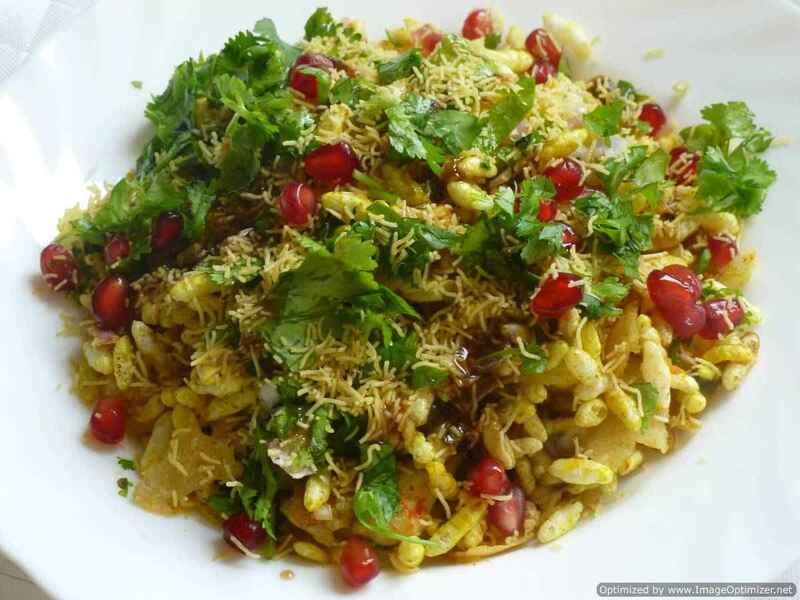 I got this recipe from one of my friend who is from Delhi and she prepared these soft stuffed dahi bhalle, which were so tasty and yummy, I thought it is normal dahi vada, but when nuts and raisins came into my mouth, it was a surprise. It is little time consuming but the end result is appreciated and enjoyed well. 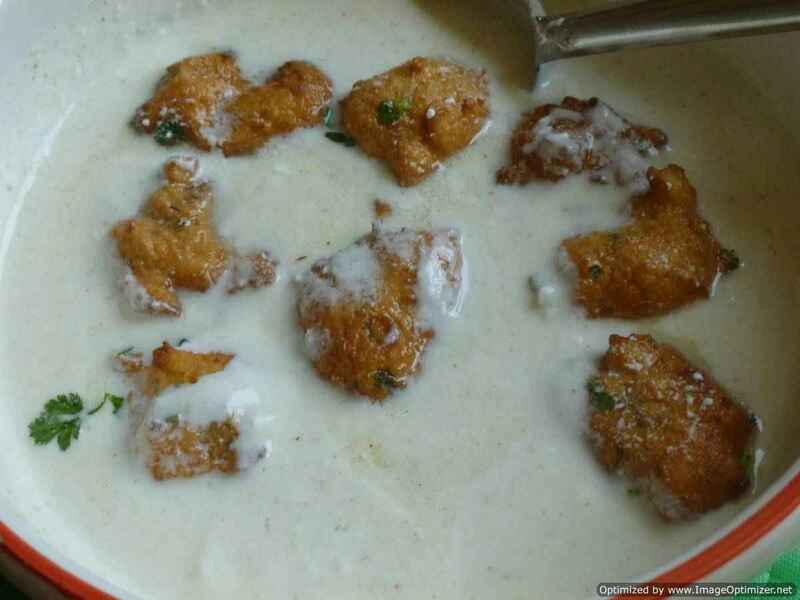 I have prepared dahi vada in south Indian style, where I have never soaked my vadas in water, from my childhood, my mother has always soaked directly in curd, which are soft and very delicious, even my friends were surprised to known that we can soak directly. 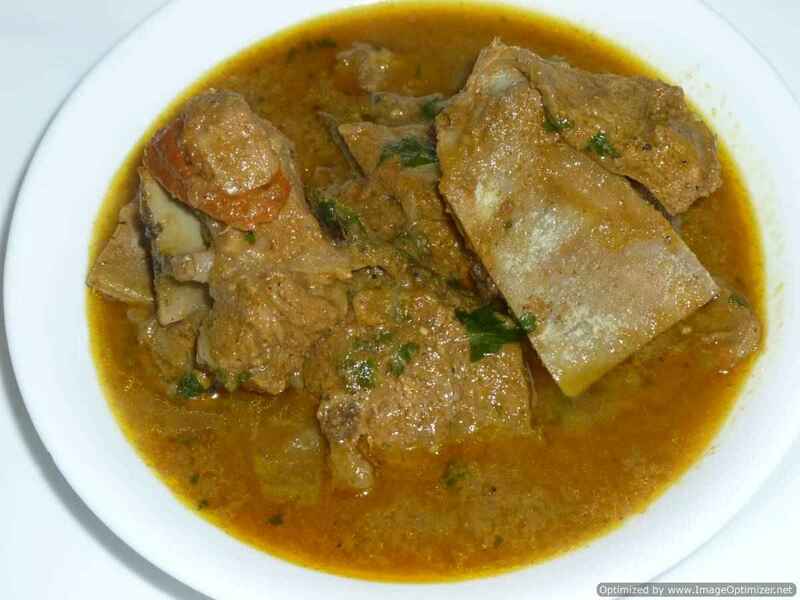 But all my friends soak in water, for softness, even as per individuals taste can do that also but it gives a very bland taste from inside for me, to avoid that, just soak in butter milk with few spices(optional) in it or like my friend does soak in milk, then squeeze and soak in the curd. 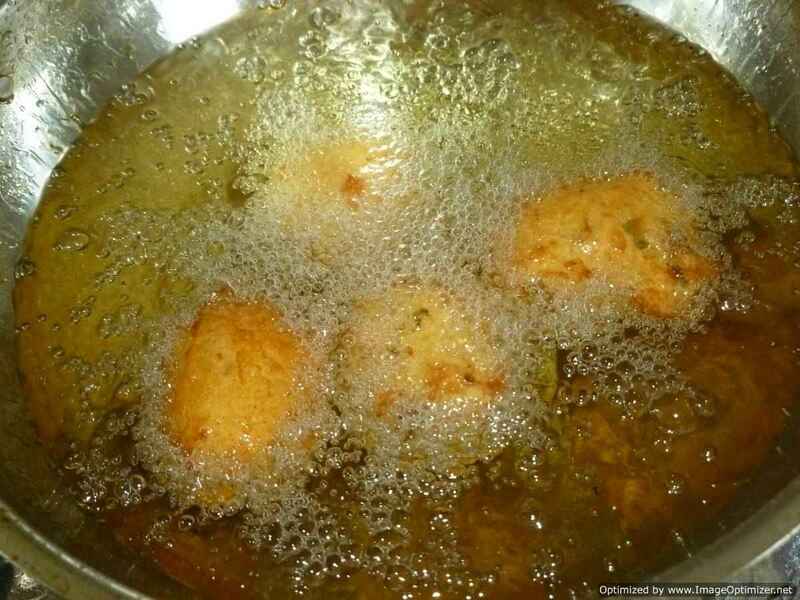 Take a wider bowl, add warm or luke warm water enough for the vadas to soak. 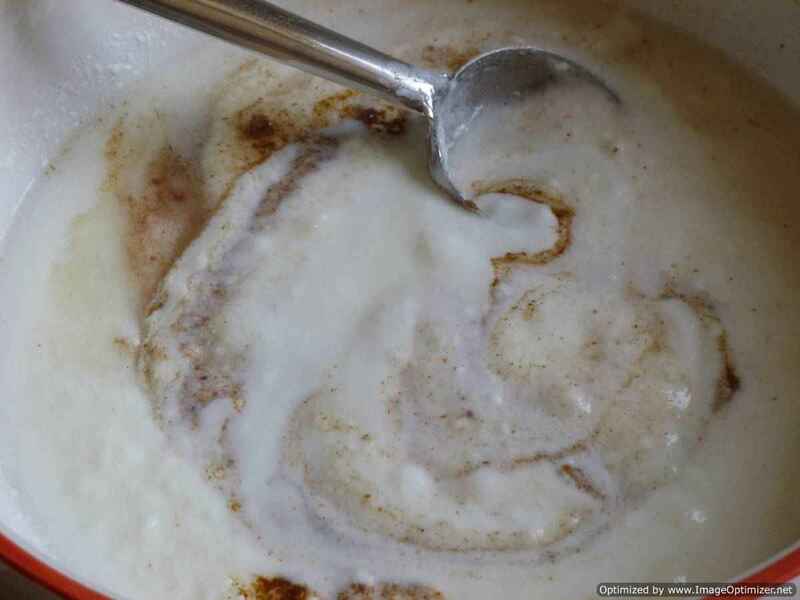 Add all the spices and curd, mix well, so that no lumps of curd is there. (can avoid the spices). It should be like thin butter milk. (I have added spices and curd, so that the vadas can absorb the spices, as it will not be bland when only soaked in only water). 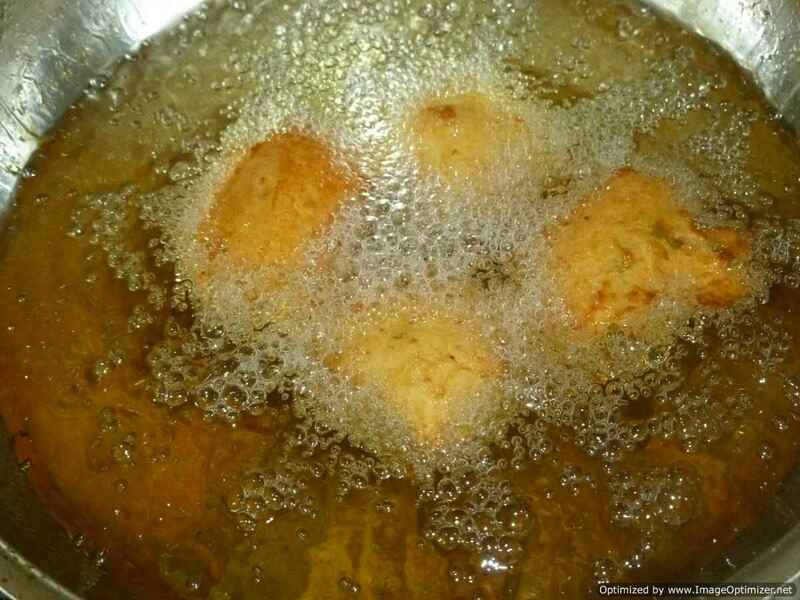 Keep it ready before frying the vadas, while soaking mix the water once ( thin yoghurt mixture) . 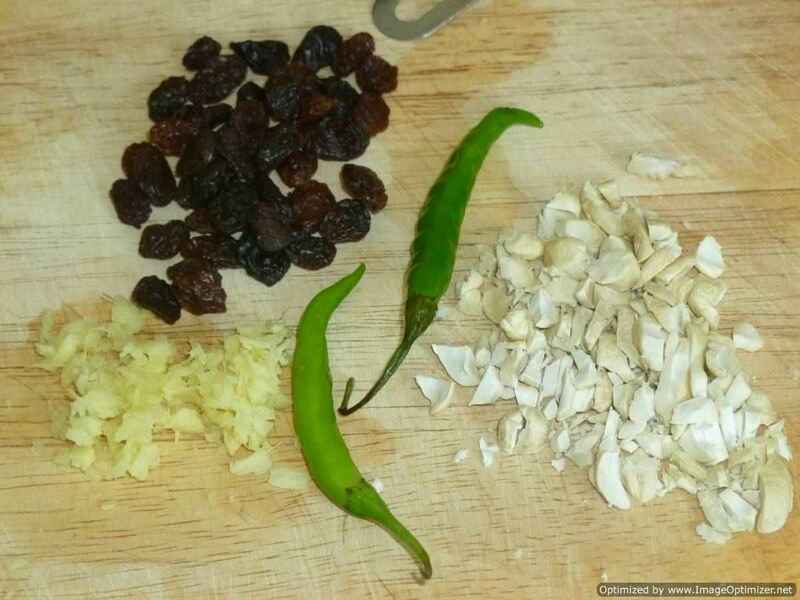 Chop cashew nuts roughly and green chillies finely, keep it aside. 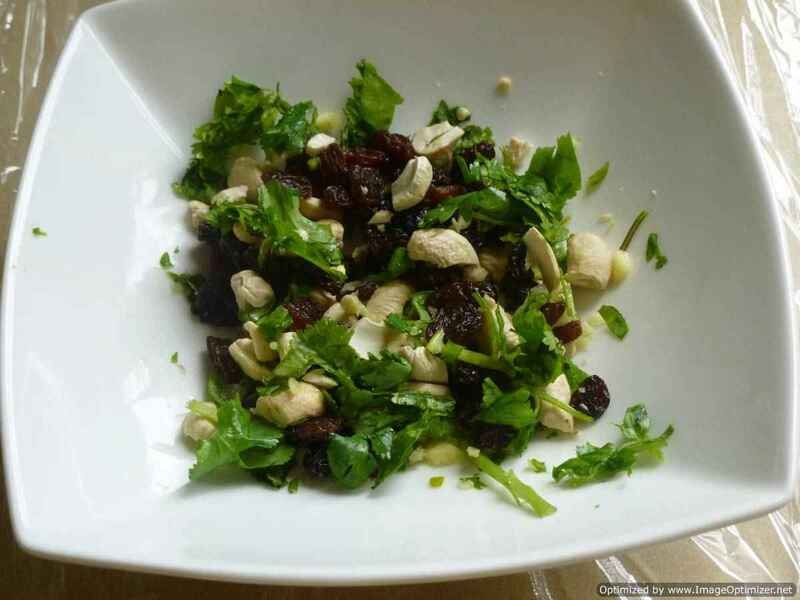 Mix all the ingredients and keep it ready for the stuffing. 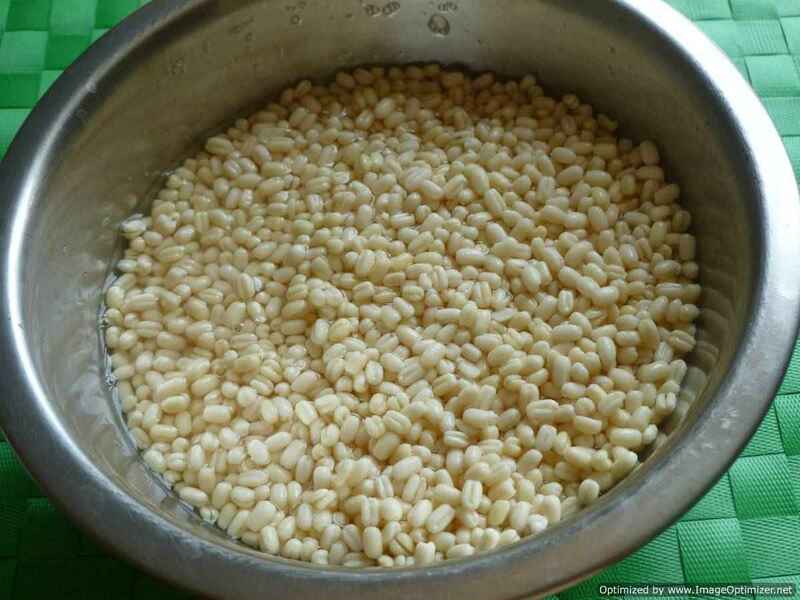 Clean, wash and soak the urad dal for 2 to 3 hours. Drain out all the water. 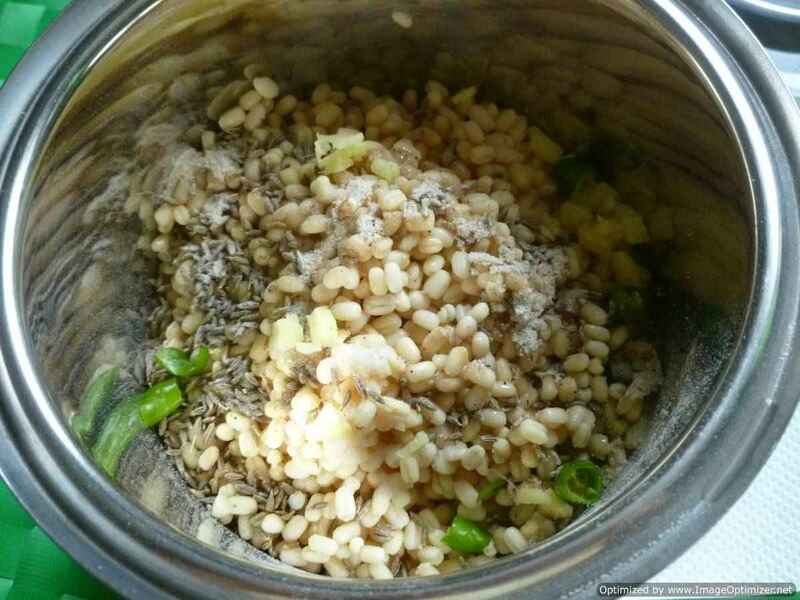 Add all the ingredients and grind the urad dal to a coarse paste or little smooth paste in a blender using a very little water or in a wet grinder (stone grinder, which gives fluffier to the batter, makes more airy). Sometimes I add ginger 1/2 tsp and green chilli in the urad dal to grind or after grinding add all the ingredients and mix. You have to grind the dal until the batter becomes light and fluffy but not loose. Sprinkle water if the mixer making lot of noise. 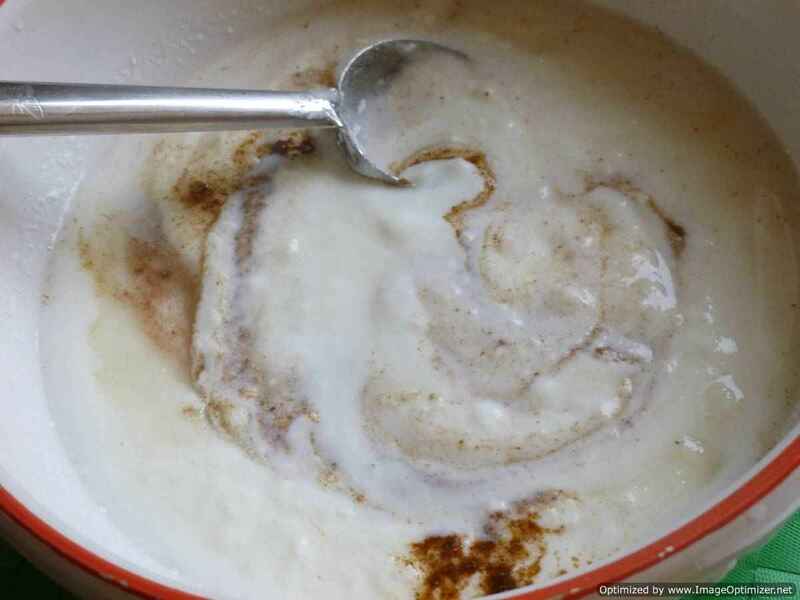 Take out the batter in a wide bowl and start beating it with hand for 2-3 minutes, it will make the batter more light and fluffy. Now the most important thing to do specially if you used mixer to grind the dal, to test if the batter is ready to make vada in a bowl of water drop a small bowl of vada if it’s floats on top of water then it’s ready to use. If the batter ball sinks a bit inside water then you have to beat it with hand for a minute more. Repeat the test until the batter ball floats on top of water. 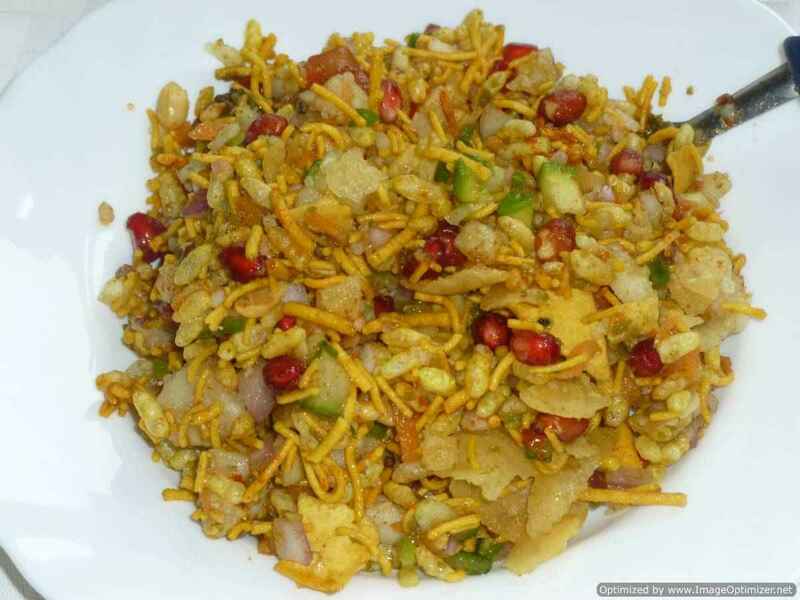 If you skip this step the bhalla or vada will not be soft. 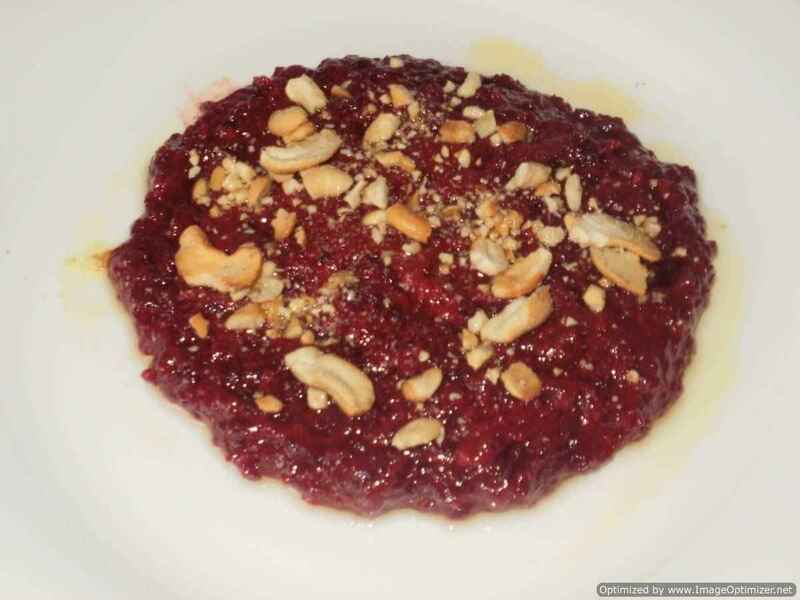 Spread 2 tablespoons of the urad dal paste on to a cling flim a circle shape. 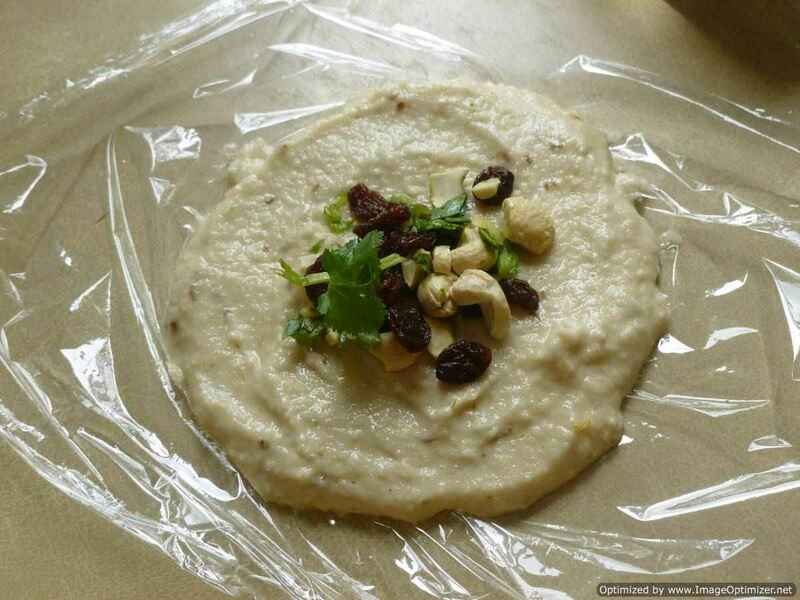 Place 1 tsp of the stuffing in the centre of the urad dal paste and fold the cling film to make a semi-circle or diameter shape (as shown in the photo below). Seal the edges of the semi-circle. 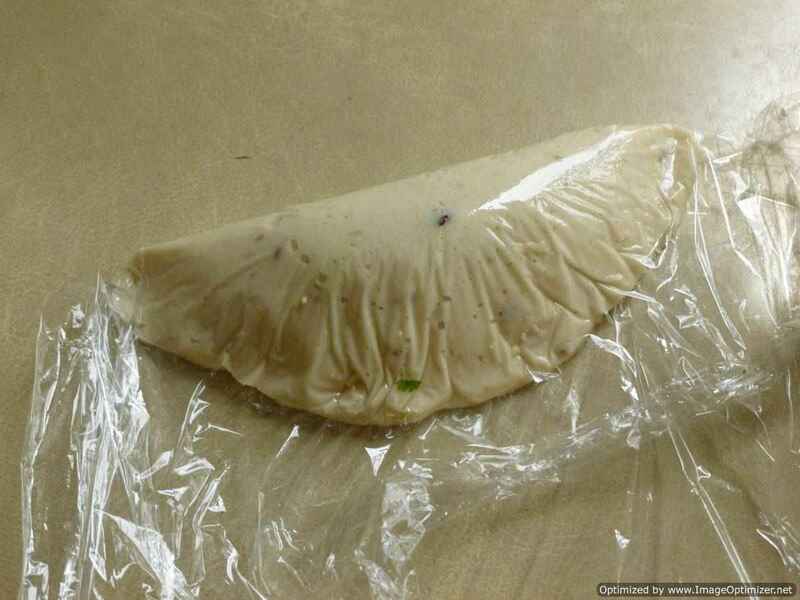 Carefully open the cling flim and place the stuffed vada on your fingertips (wet your hands before). Or wet your hand put some mixture, put the stuffing in the middle, then top with urad dal paste (wet your hands before), seal the edges, doesn’t matter what shape it is. 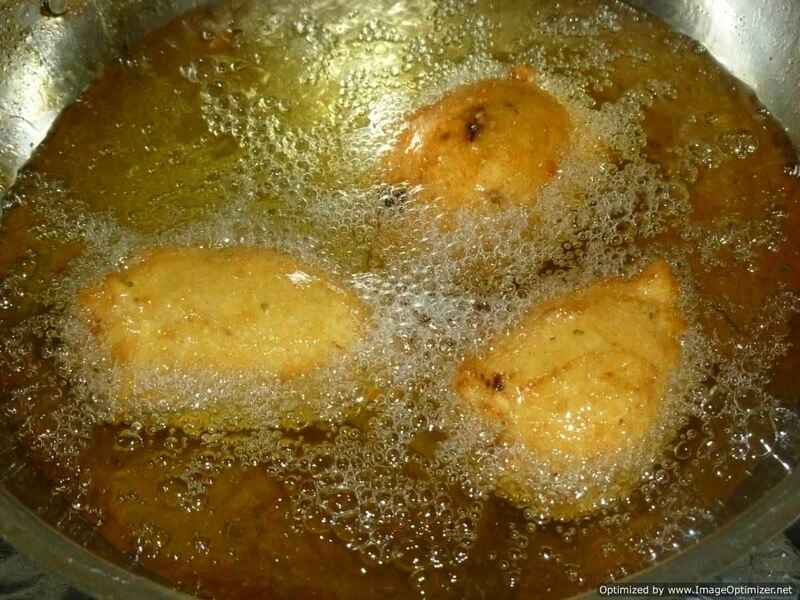 Carefully slide the stuffed vada into a kadhai filled with hot oil and deep fry about 3 to 4 vadas at a time over a medium flame till they are golden brown (8 to 10min). If it is without stuffing, make small balls with your hand(wet your hands before). 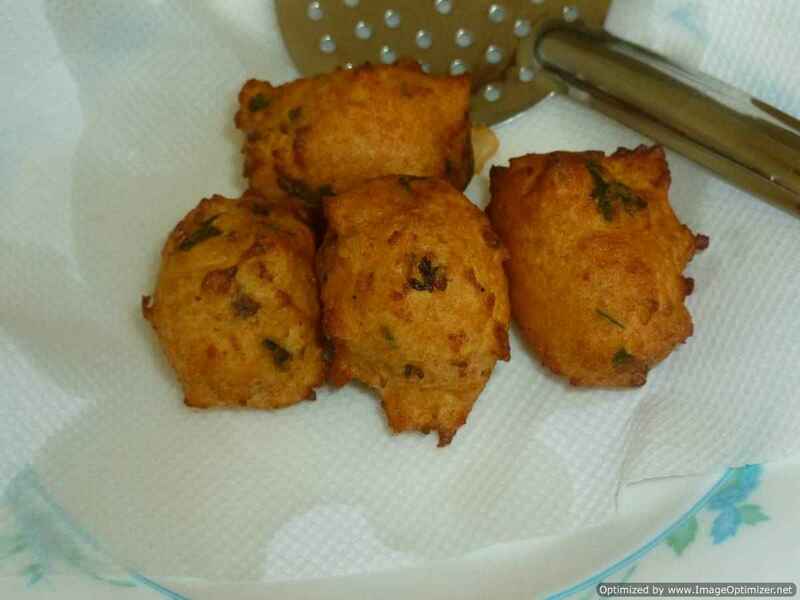 Drain the vadas on a kitchen paper to remove excess oil. 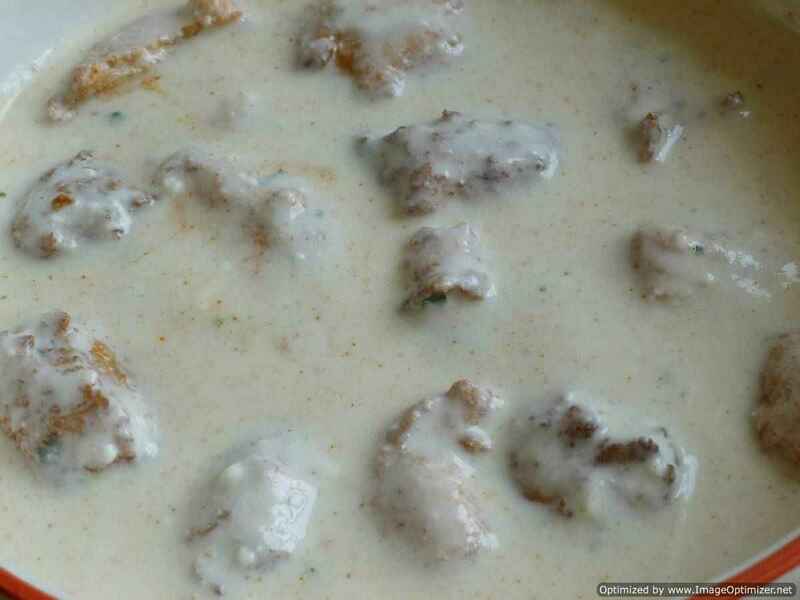 Soak the vadas in warm water (thin yoghurt mixture) for about 45 minutes or more. 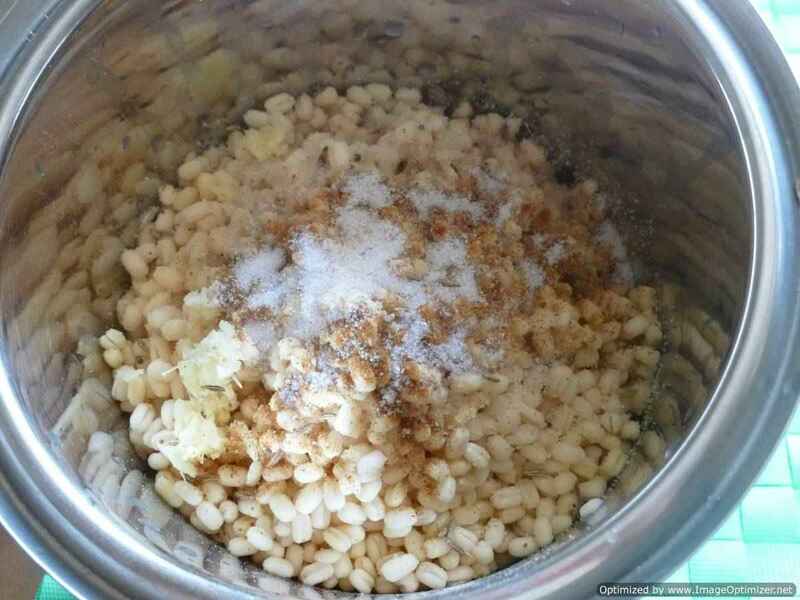 Mix the curds, black salt, sugar, chilli powder and salt together. Keep aside. 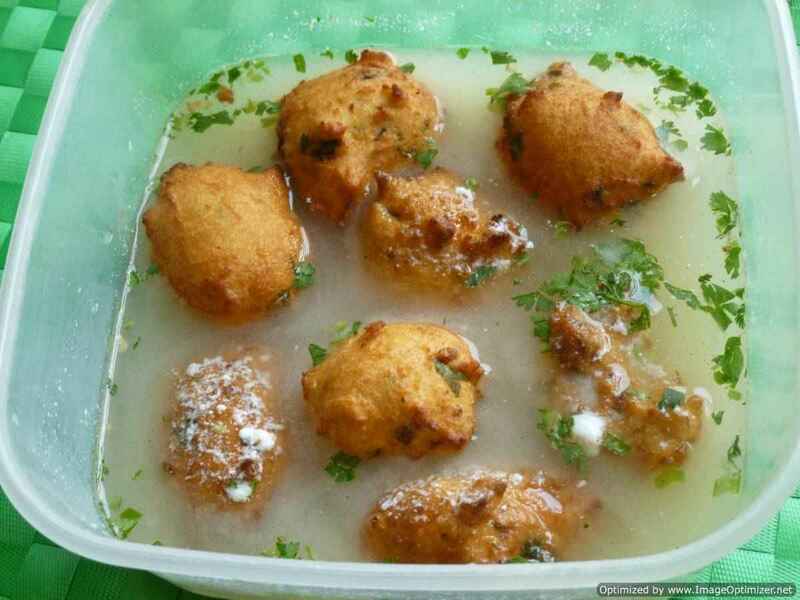 Just before serving, squeeze out any excess water from the vadas by gently pressing each one between your palms. Arrange the vadas or soak it in the curd (yoghurt mixture). Now for garnishing, sprinkle chilli powder, cumin seed powder, sweet chutney (tamarind chutney) green chutney and coriander on top. 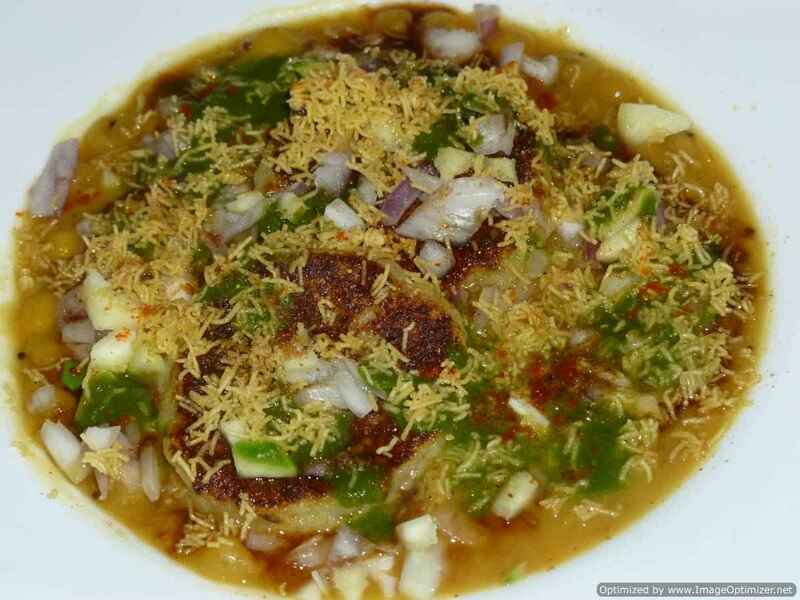 While serving take one or 2vadas as per the serving, without mixing the garnishing top and serve, or sprinkle chaat masala or my roasted spice masala, which I shown you in my kolkotta (culcutta) tamarind chutney. 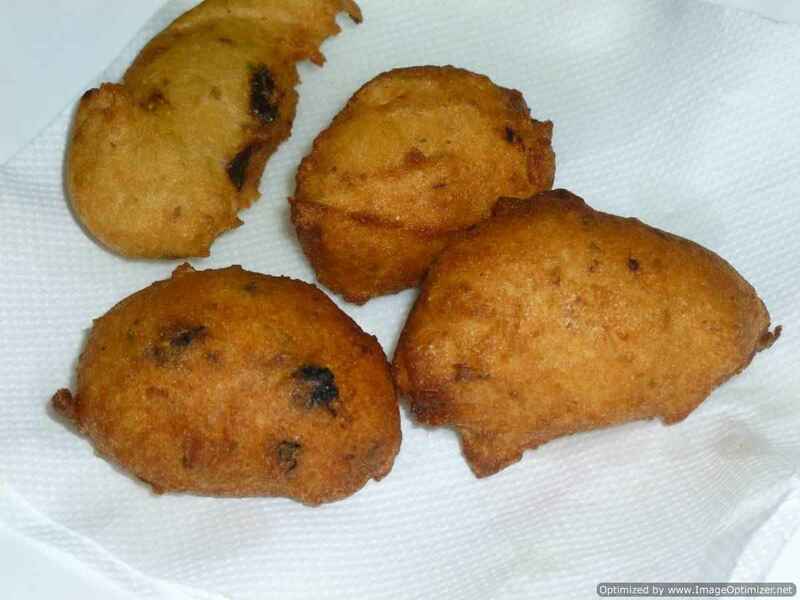 Can add little soda for the softness of the vadas. 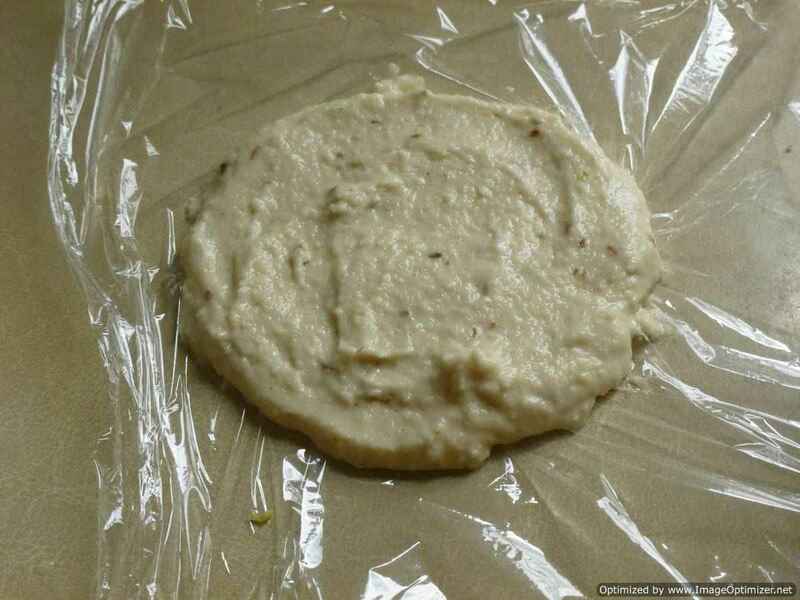 The batter should not be loose as stuffing will be difficult, don’t add much water while grinding. 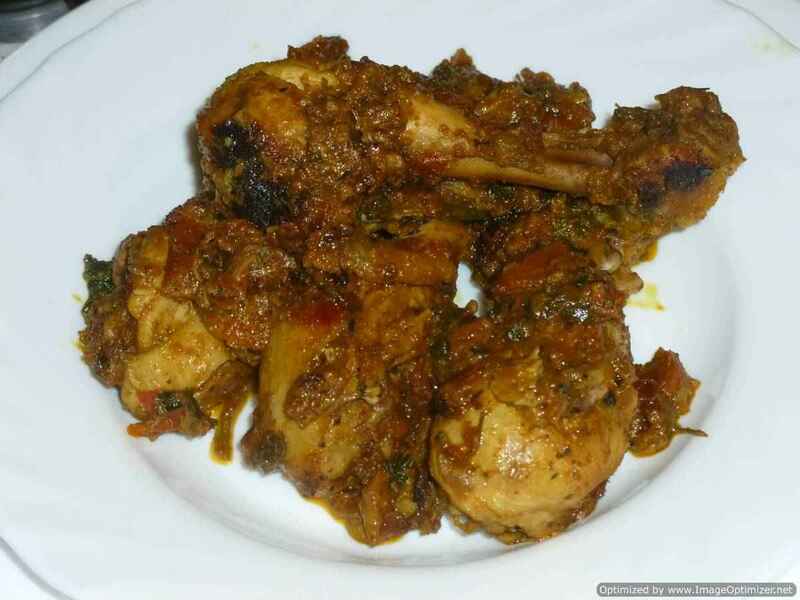 Can make any shapes oval or diameter shape, but sometimes when dropped in the oil, the shapes changes, it doesn’t matter as it has to be cooked well. 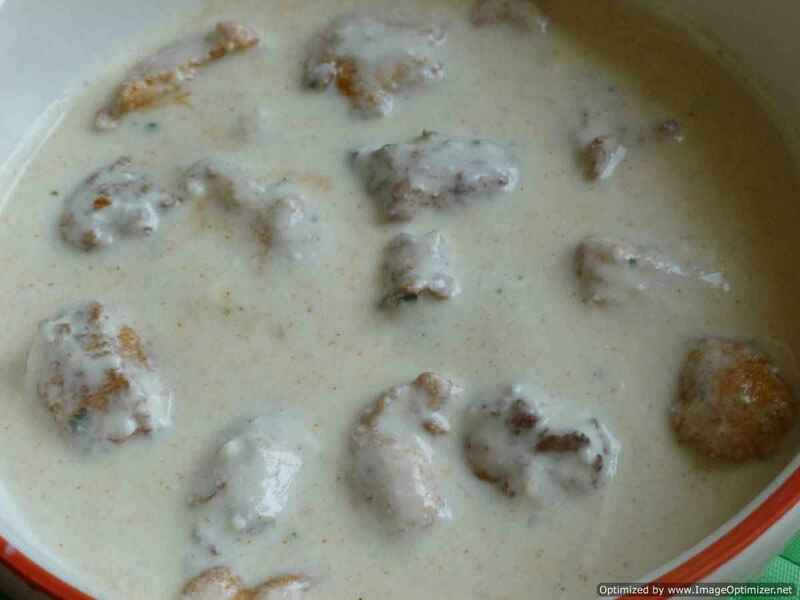 Keep the yoghurt mixture in the fridge before soaking vadas or serving. 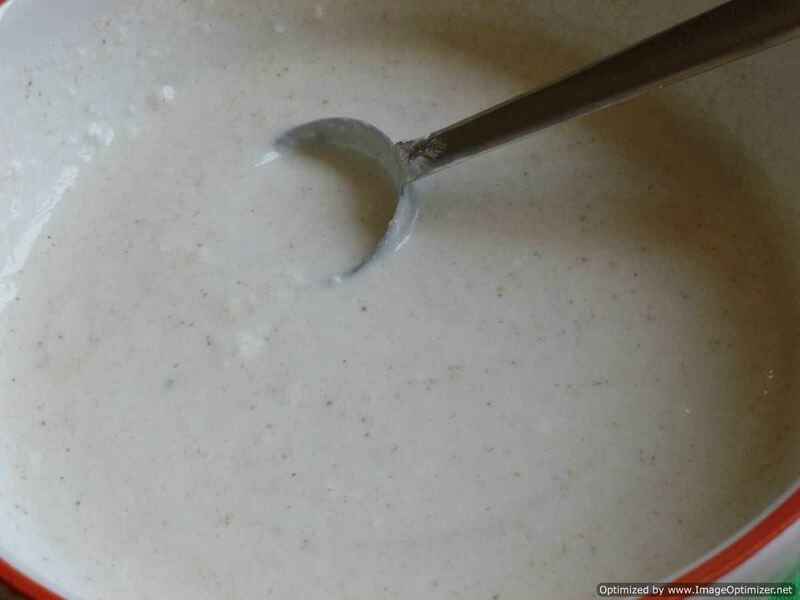 The yoghurt mixture should nether be thin nor thick, as the vadas will not absorb the yoghurt well. If the vadas still hard and not soft for the first attempt, but still can be enjoyed with the sweet yoghurt and tamarind sauce. As I was making stuffed dahi vadas, the batter has to be thick and fluffy, but if making without stuffing it should be the consistency as it was in my previous dahi vada south Indian style or refer my vada batter recipe. 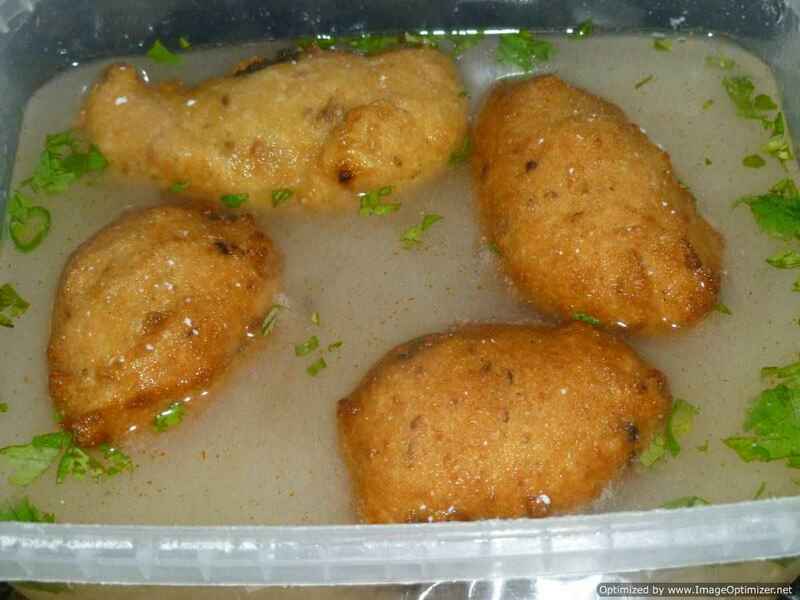 The vadas will be soft only when the vadas are cooked properly and has crispy texture from outside, refer my sambar vada and curd vada south style.